Schubert wrote this Hungarian dance for solo piano in September of 1824 after spending the second of two summers as a music tutor to Count Esterhazy's two young daughters at his home in Zseliz, Hungary which is now Zeliezovce, Slovakia. 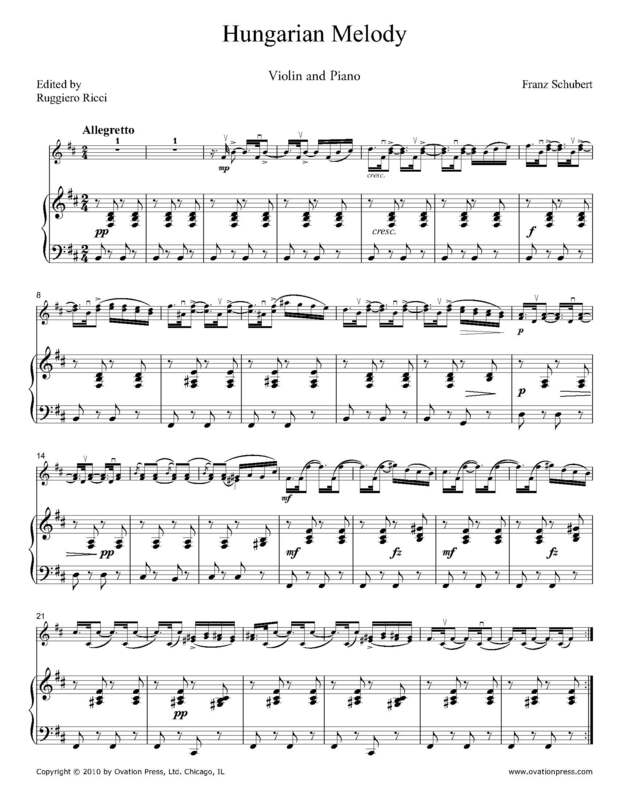 Ruggierro Ricci has arranged this piano standard for violin and piano. YouTube has recordings of Alfred Brendel and Sergey Kuznetsov playing this piece in its original form.